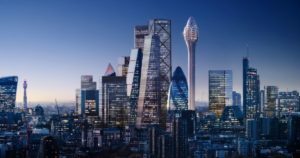 The proposed skyscraper could join the growing line-up of towers dotted about the London skyline, becoming the Capital’s second tallest building. 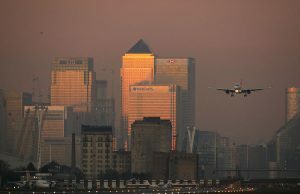 A new skyscraper could join the growing line-up of towers on London’s skyline to become the Capital’s second tallest. ‘The Tulip’ could be the latest to join the likes of the Gherkin, Shard and Walkie Talkie in the City’s cluster of skyscrapers. At 305.3metres tall, it would be the second tallest building in the Square Mile turf, but will be a visitor and tourist destination only. It would measure just 3ft shorter than the Capital’s tallest tower, the Shard, and loom above the second highest, One Canada Square at Canary Wharf. The planning application for the Tulip comes from architects Foster + Partners, the designers behind the neighbouring Gherkin. If approved by City planners, the Tulip, which would feature no office space, would overtake under-development One Undershaft as the Square Mile’s tallest tower. A large public viewing platform is one of the main highlights of the proposed plan. Photo by DBox and Foster + Partners. The last tower the Corporation approved for construction was ‘the Diamond’, this July, which Londoners quickly dubbed ‘Cheesegrater 2’ for its resemblance to the existing similarly tapered neighbour of the same nickname. One Undershaft is set to reach 289.9m and Cheesegrater 2 will stand at 263.4m. 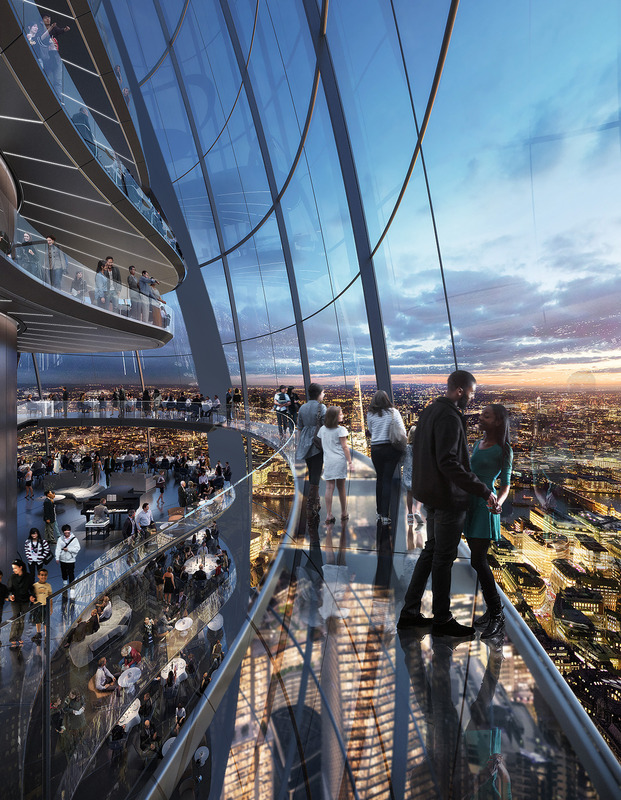 The Tulip would feature a viewing platform at 300m, a sky bar, a restaurant with a 360-degree view of the City, sky bridges, internal glass slides, and gondola pod rides on the building’s facade. The planning application also includes a two-storey pavilion next to the skyscraper, featuring a publicly-accessible rooftop garden. It would also feature an educational hub towering above the City for 20,000 state-schooled children a year, delivered by the J.Safra Group, whose Bury St Properties will pay for the development, on national curriculum topics. “The Tulip’s elegance and soft strength complements the iconic Gherkin,” Jacob Safra said of the design. Foster and Partners say the building is designed with sustainability in mind, with the minimal “soft bud-like form” and high performance glass complemented by an internally-generated heating and cooling system. The Corporation is currently considering Londoners’ views on the future of the so-called Eastern Cluster, where its skyscrapers are located, planning for an influx of future workers who will need more public space.